DESPARD, JOHN, army officer and colonial administrator; b. 1745 in Ireland, fifth son of William Despard; m. Harriet Anne Hesketh, and they had one daughter; d. 3 Sept. 1829 at Swan Hill, Oswestry, England. John Despard began his military career on 21 April 1760, when at the age of 15 he became an ensign in the 12th Foot. The following year he saw action in Germany at the battle of Vellinghausen, and on 12 May 1762 he purchased a lieutenancy. Placed on half pay at the peace in 1763, he exchanged into the 7th Foot on 1 Sept. 1768 and in 1773 came with the regiment to the province of Quebec. Returning to England in 1774 to recruit, he arrived back in Quebec in May 1775, and that November was part of the force in Fort St Johns (Saint-Jean-sur-Richelieu) that surrendered to Richard Montgomery*’s troops. After a prisoner exchange in December 1776, he was immediately sent to New York. On 25 March 1777 he was promoted captain-lieutenant, on 7 October captain, and he was at the capture of Fort Montgomery, N.Y., in the latter month. In May 1778 he was appointed major of the Volunteers of Ireland, a loyalist unit, and in December 1779 he sailed to South Carolina as deputy adjutant general of the army sent there. Present at the surrender of Charleston, S.C., in May 1780, he continued fighting under Lord Cornwallis in North and South Carolina and in Virginia until the British surrender at Yorktown, Va, in October 1781. He distinguished himself throughout this phase of his career, serving in 24 engagements and having two horses shot from under him. On 13 June 1789 Despard was promoted major of the 7th, and on 13 July 1791 lieutenant-colonel. Joining the regiment at Quebec in 1793, he was ordered the following year by Prince Edward* Augustus, commander of the forces in the Maritime provinces and colonel of the 7th, to supervise recruitment for the regiment in England, a task he completed successfully. Despard returned to serve under the prince at Halifax in 1795, and on 21 June of the same year he was promoted colonel in the army. Edward Augustus seems to have developed great trust in Despard’s abilities, and his promotions continued; in 1799 he was appointed, as a major-general (from 21 June 1798), to the military command of Dorset. His time in this position was brief, for while there he was approached by Edward Augustus, now Duke of Kent, and George III and offered the post of military commander (and therefore civil administrator) of the colony of Cape Breton. Despard accepted and in August 1799 was named to the staff of Nova Scotia. Despard’s first problem related to his appointment. 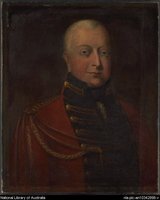 The incumbent, Brigadier-General John Murray, was loath to resign the civil command, and when Despard arrived in Halifax in May 1800 he was advised by Lieutenant Governor Sir John Wentworth* of Nova Scotia that his commission entitled him to the military command only. Despard went to Sydney on 16 June and at first made no move to supplant Murray as administrator, but by August he had decided to challenge him and was demanding that Murray hand over the government. In September, Wentworth changed his views and informed Despard that as military commander he was ex officio civil administrator. This opinion prompted Despard to move. On 17 September he called a meeting of the colony’s Executive Council to have himself proclaimed administrator, and simultaneously had the local militia assembled. Sydney was in a high state of excitement as both factions collected support, and a mob favourable to Murray gathered; violence was avoided only by the presence of the militia. Despard’s show of force broke the resistance of Murray and his supporters on the council, headed by the Reverend Ranna Cossit*. They failed to attend the meeting and were eclipsed by Despard’s adherents, led by Archibald Charles Dodd. With a hold on the reins of government and a supportive council, Despard moved to improve the colony’s economy. In November 1801 he leased the coal mines to the acting attorney general, William Campbell, but when he became dissatisfied with his work assumed control in the name of the crown in February 1804, appointing John Corbett Ritchie, a Halifax merchant, as superintendent. Under Ritchie’s guidance the level of the mines was extended, a new pit was completed, and the wharf at the mines strengthened and lengthened to deeper water for the easier loading of large ships. These improvements greatly expanded coal production, which increased by almost 2,000 chaldrons from 1805 to 1807, and Sydney was now able to supply Halifax and Newfoundland with adequate amounts of coal. At the beginning of Despard’s term, however, the colony was in a tight financial situation, since a house of assembly did not exist and revenues could not therefore be raised. On the other hand, Despard reckoned that 10,000 gallons of rum were being imported each year; a tax of 1s. 3d. per gallon would result in over £600 of government income annually, which could lead to much-needed public improvements, in particular roads. Thus in December 1800 he presented the idea to the council, which agreed that such a tax could be imposed by local ordinance. The proposal was meanwhile submitted to the Treasury, and by convincing it that British taxpayers would have to bear the costs of improvements if the tax were disallowed Despard received approval in July 1801, although the measure was recognized as illegal. At the same time, Despard addressed the land question. By forbidding grants after 1790 the British government had driven away potential settlers, while others had simply squatted, depriving the colony of revenue. Despard discovered that a great deal of land which had previously been granted to loyalists by Lieutenant Governor Joseph Frederick Wallet DesBarres, particularly 100,000 acres around the Mira River, had been either abandoned or never taken up. With the approval of the British government, in December 1801 he organized a court of escheat to seize such properties. In this way large quantities of land were made available for sale or lease. The combination of a quiet political environment, local revenues, and available land could not have existed at a better time, since in early August 1801 the first boatload of Scots sailing directly to Cape Breton arrived in Sydney with 415 passengers. This influx began the great tide that was to transform Cape Breton into Canada’s strongest Scottish enclave. 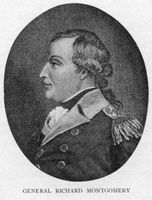 Anxious for settlers, Despard offered them land and financial assistance. This quick action and successful land and financial policies were doubtless important factors in the continuing flow of Scottish settlers to Cape Breton. In five years the colony’s population increased from 2,500 to nearly 5,000 and new settlements sprang up all along the coasts. In July 1803 approval was given for the construction of a new market-house in Sydney to accommodate the increasing amounts of local produce, new grist-mills appeared in several locations, and between 1801 and 1805 the number of vessels built in the colony increased by one-quarter, from 217 to 267. As the population and economy began to change, the political situation followed suit, with the former self-seeking factionalism beginning to transform itself along ideological lines. 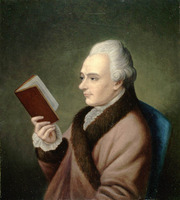 This development was due to Richard Collier Bernard DesBarres Marshall Gibbons, son of the colony’s former chief justice. He balked at the rum tax and by 1805 was calling for a house of assembly so that revenue could be legally collected. Gibbons became the spokesman for what had been Cossit’s group, and at first was opposed by Dodd, now senior councillor, who felt that the colony was still too small to support the expense of an assembly. Despard himself showed little reaction to Gibbons’s plans, concerned as he was with the material well-being of the colony, and probably banked on Gibbons’s personal unpopularity to quell the movement, which had already been blunted by economic prosperity. Gibbons continued to call for an assembly, and when Dodd was appointed chief justice in 1806 he too began to have qualms about the legality of the rum tax. As Dodd and Gibbons grew closer together, Despard decided to leave. Not only the political situation, but also his own health, and probably family matters in the wake of his brother’s execution for treason in 1803, contributed to his decision to depart in July 1807. The rest of Despard’s life was spent in England in semi-retirement. Promotions came regularly: on 25 June 1808 he was appointed colonel of the 12th Royal Veteran Battalion, on 29 Dec. 1809 colonel of the 5th West India Regiment, and on 4 June 1814 a general. The eventual cause of his death was “ulcerated intestines,” a problem he had had while in Cape Breton. To govern Cape Breton demanded patience, imagination, sympathy, and business and administrative abilities, qualities not usually associated with military men. John Despard displayed all these traits, which with his “mild and chearful . . . disposition” made him popular with British officials and the most able and successful of the island’s colonial administrators. PAC, MG 11, [CO 217] Nova Scotia A, 131. PANS, MG 1, 262B; RG 1, 53. PRO, CO 217/117–25. Gentleman’s Magazine, July–December 1829: 369–70. DNB. The royal military calendar, containing the service of every general officer in the British army, from the date of their first commission . . . , ed. John Philippart (3v., London, 1815–), 1: 129–30. R. J. Morgan, “Orphan outpost”; “Sydney’s debt to John Despard: administrator of Cape Breton, 1800–1807,” Essays in Cape Breton history, ed. B. D. Tennyson (Windsor, N.S., 1973), 24–34. R. J. Morgan, “DESPARD, JOHN,” in Dictionary of Canadian Biography, vol. 6, University of Toronto/Université Laval, 2003–, accessed April 20, 2019, http://www.biographi.ca/en/bio/despard_john_6E.html.